5 Types of Romantic Getaways | UNIGLOBE Direct Travel Ltd. 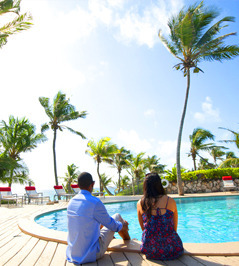 The Bahamas is proud to say that each and every one of our islands is the perfect destination for a romantic escape. Weddings, honeymoons, anniversaries, engagements—whatever your milestone, celebrate in paradise. From breathtaking panoramic views to soft white- and pink-sand beaches to spectacular sunsets and exotic hideaways. Need to relax? Stumble across a secluded beach where the only footprints you’ll see are your own. Looking for adventure? Take a swim with dolphins in the warm waters of the Atlantic. 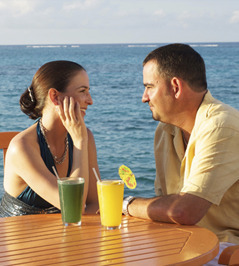 There are numerous activities for couples to enjoy in The Bahamas. Relax on secluded beaches, explore underwater caves, go shopping for handmade crafts, try some Bahamian rum punch or swim with dolphins. And while you're soaking up some sun, you can soak up some Bahamian culture as well. Every one of our islands offers something a little different. Click the Explore Our Islands tab at the top of the page to find the islands that fit you. There are 700 tropical islands and cays in The Bahamas that are perfect for taking the biggest step of your life. Whether you choose a secluded beach or a luxurious resort to pop the big question, it’ll be a moment both of you will cherish forever. Congratulations! You just received some exciting news. Let’s celebrate. Babymoons are one of the hottest new trends for couples and women expecting. You can sink your toes into the sand, get pampered and enjoy pure serenity. So bring your friends, bring your family and celebrate the big news in The Bahamas. Let’s face it—whether it’s your 1st, 5th or 50th wedding anniversary…paper, wood and gold have much more meaning in paradise. The Bahamas has plenty to offer when it comes to celebrating your special occasion. You can do it all or choose to do absolutely nothing at all. Remind your loved one just how much your relationship means together. 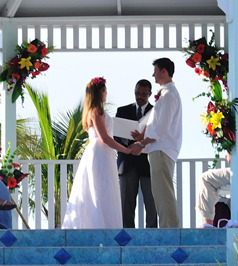 The Bahamas is ideal for renewing your vows in front of friends and family. 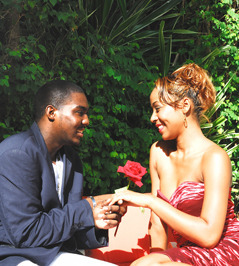 Choose a venue on the beach, on a hilltop or in a quaint village by the sea for your special day. For couples looking to get married without the hassle or burden of planning the ceremony, eloping to The Bahamas is perfect. We have plenty of planners, venues and presiders who are happy to turn your special day into a memorable experience.